A rich array of resources is available to support the teaching of genomics and genetics to school students of all ages. Our list of resources is growing, and we welcome new content. Please email eegmc@nhs.net to add materials to this page. The Wellcome Genome Campus, just south of Cambridge, provides excellent online resources suitable for school and college students and anyone interested in genetics and genomics. Explore the YourGenome website or contact the campus to discuss site visits. The Wellcome Genome Campus also offers school visits within the East of England. To start a conversation about a possible visit to your school, contact the team with your details including school, approximate number and age of students, and (if known) syllabus topic you would like the visit to cover. The Virtual Genetics Education Centre (VGEC) is an award-winning hub of evaluated genetics teaching resources for teachers and learners in schools and higher education, health professionals, and the general public. Resources include experiments suitable for all ages, tutorial materials, videos, and links to other evaluated resources. The VGEC is a Genetics Education Networking for Innovation and Excellence (GENIE) Centre for Excellence in Teaching and Learning in Genetics (CETL) project. STEM Learning is the largest provider of education and careers support in science, technology, engineering and mathematics (STEM) working with schools, colleges and others young people across the UK. Supported by a partnership of government, charitable trusts and employers, STEM Learning provide teaching and learning resources on genomics and genetics, including lesson content and CPD training for teachers. 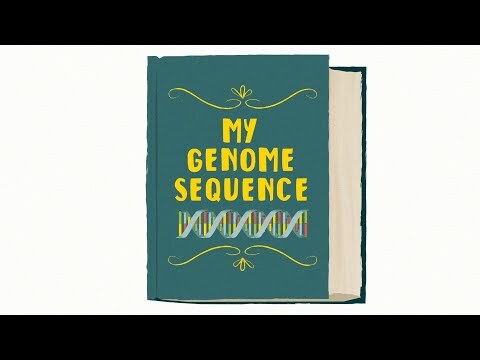 The team behind Jeans for Genes Day — the annual fundraising event for Genetic Disorders UK – have produced a suite of thought-provoking films and materials to bring the subject of genetics to life in class or in front of a whole school. Resources have been developed with teachers, tested within the classroom, and are national curriculum-friendly. Pupils learn about genes, inheritance and genetic disorders through the eyes of children who are either affected by a disorder or whose sibling is affected. The Wellcome Centre for Human Genetics, based in Oxford, has excellent online resources and also has STEM (Science, Technology, Engineering, and Mathematics) Ambassadors who are very active and may be able to help you with your event. See the Public Engagement and Outreach updates for details of events and initiatives. Arizona State University: Ask a Biologist — How To Build A Monster!